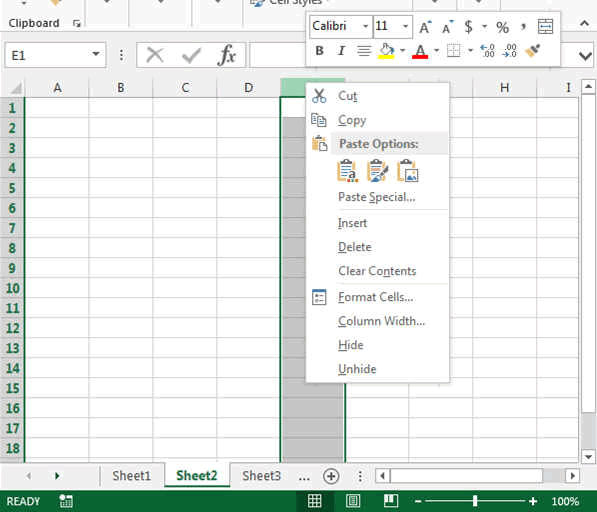 In Excel, a Column is the vertical area that goes from top to bottom of your table. It is indicated by a letter. 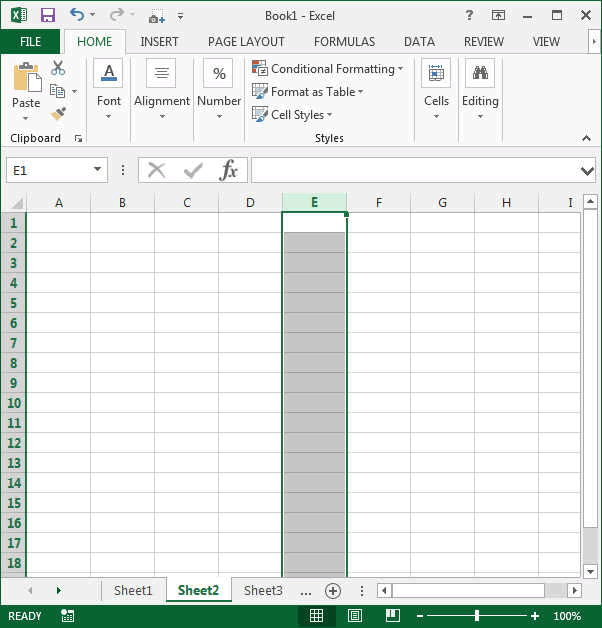 There are 1'048'576 horizontal rows in Excel and 16'384 vertical columns since Excel 2007. Like for the cells, if you right click on a columns the contextual menu will appear giving you all the options available to modify this column or set of columns (like changing the colour, the number formats, etc...). So for example inserting a column will insert a column before the column you have clicked.